Apart from many false alarms and a few unrepeated suspect signals SETI research so far didn’t furnish results of relevance. Yet present technology of multi-channel spectrum analyzers for Radio SETI, of pixelated detector arrays for Optical SETI and new dedicated telescopes working in both wavelength ranges, offer a tremendous potentiality. All-sky survey, targeted search and piggy-back strategies together with the indisputable success with the discovery of a few suspected Earth-like exoplanets, so far didn’t significantly increase the probability to find the needle in the haystack. In order to truly exploit all the lengthy efforts made so far SETI research needs to adopt a more powerful and redundant “viewfinder” that is enslaved to current monitoring techniques and which consequently pragmatically may allow a higher probability of positive outcome. Theoretical research on “Dyson spheres” predicts that the detection of infrared excess from solar type stars may be caused by “technological circumstellar envelopes” of various shapes . Mathematical simulation of light curves produced by hypothetical occultating orbiting objects of artificial nature and of various geometric shapes are already available . In the first case a systematic study of the database of Spitzer infrared space telescope, compared with well-known optical catalogues, might prove to be a powerful tool for the search of G-type stars having an anomalous infrared excess, which normally is never present in such kind of stars due to their stabilized evolution. In the second case extrasolar planet photometric search using occultation techniques, such as the one presently carried out by the Kepler space telescope and even more by future larger aperture space telescopes devoted to this specific role, may help to identify possible orbiting objects of artificial nature whose dimensions (but not shape, in case) are comparable to Earth or less. Both techniques, the infrared and the occultation ones, can be cross-correlated together and finally used as an ideal “viewfinder” for a truly targeted search for Radio and Optical SETI. In such a way all of the technological potential of present SETI monitoring procedures would be efficiently implemented without any significant waste of time and focused towards a much more restricted range of possible targets. 1. Arnold, Luc F. A. (2005). “Transit Light-Curve Signatures of Artificial Objects”. Astrophysical Journal, Vol. 627, Issue 1, pp. 534-539. 2. Timofeev, M. Yu; Kardashev, N. S. & Promyslov, V.G. (2000).”A search of the IRAS database for evidence of Dyson Spheres”. Acta Astronautica, Vol. 46, Issue 10-12, pp. 655-659. Dr. Massimo Teodorani is an astrophysicist. 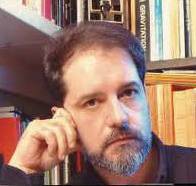 He received his Ph.D. in Astronomy in 1992 from the Bologna University with a specialization in stellar physics. Between 1995 and 2005 he has been working as a researcher at the Naples Observatory and at the INAF Medicina Radiotelescopes. Being experienced both in optical and radio astronomy, he carried out studies on eruptive stars, exoplanets and SETI. He is also an expert of the physics of anomalous plasma phenomena of geophysical interest. Recently he taught quantum physics at the Bologna University. He is author of 16 science divulging books.